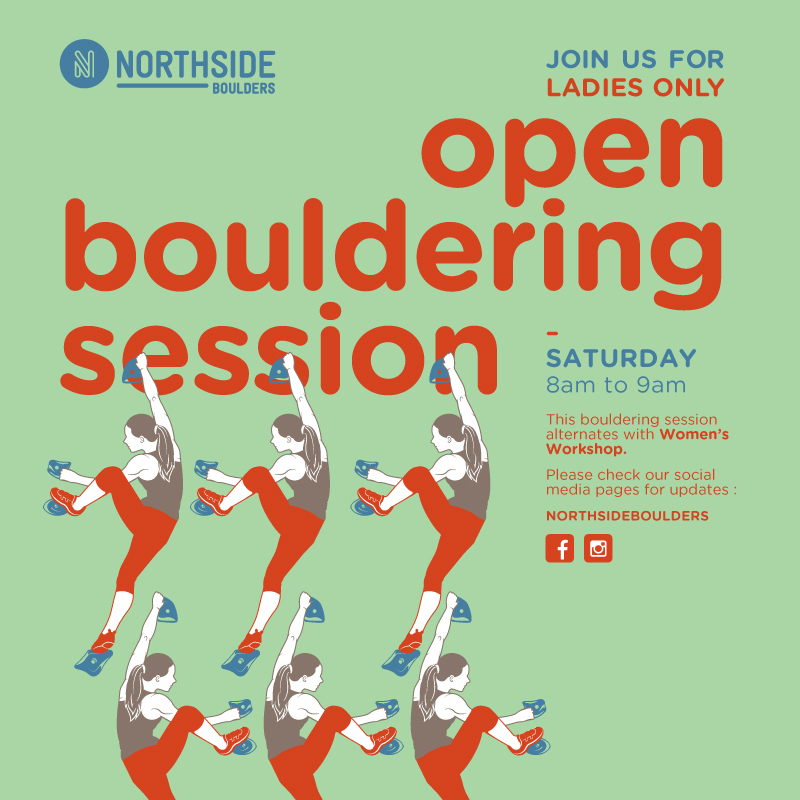 We'd like to invite all the ladies to OPEN BOULDERING SESSION at Northside Boulders. This session will start on Saturday 4 November from 8am to 10am to alternate with Women's Workshop. We hear ya, ladies. It's nice to boulder and enjoy the gym to ourselves.